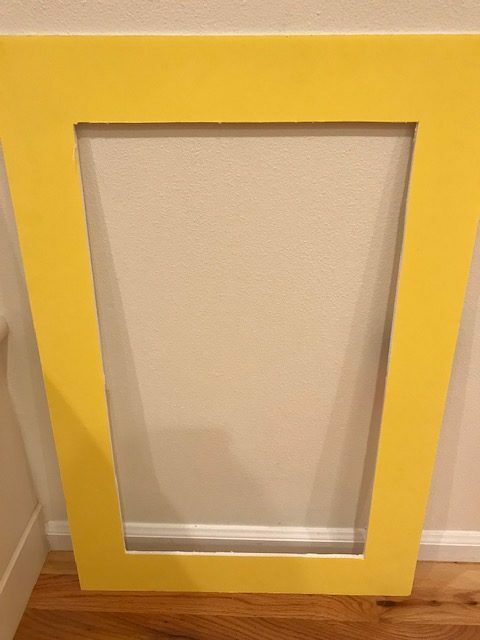 Frame cut out of foam board. Three inches around the sides. Tell the Children: I have a picture frame, but I don’t have any pictures! Let’s make the pictures come alive. I have asked 5 people to help me show you some “pictures” in this frame while I sing this song. Ready? The children you have chosen to help you come up to the front. They each have two of these “picture” descriptions. As you sing, they proceed to do that one action in the frame. You will need some props: a pillow, a picture of Christ, and a cardboard shield shape. Sing the Song as the children do their action in the frame. Have the 5 children give their two action slips to another child, and have 5 other children come up and do the actions while you sing the song again. Sing the song silently (without sound, but mouthing the words) while the children do the actions. Have all the children do the actions with the child in the frame. I love this idea! I’m going to use it tomorrow, with a different song. I’m positive it will go well with Junior, but I’m wondering if you’ve used it with Senior? Yes, it works well with Older children also! I did this today (just with Junior), and it worked well! However, it took more time than I anticipated it would. One of the biggest time eaters was getting the children into order as they came up, since I was reading their slips to place them in order. As I was taking time to set them up, the children sitting in their classes lost interest, so I then had to pull them back in. 1. Instead of giving out slips of paper, I would just have the objects lined up and ready for 5 children to come up and act out that picture. As they come up, I would place them with an object and give them a quick action to do. 2. After we sang the song, they could just simply go and tag another child to come up, tell them which object to go to. this will help me, thanks so much, if the music leader doesn’t turn up but I have ideas for music, much appreciated. Our Primary has about 60 kids, & we would only have ONE music time, (Uggh.) The kids sit in the pews in the chapel. I used the 10 ideas above, but used actions for everything but the shield (forgot my picture of Jesus, so did the ASL sign). To have more kids involved, during our opening, I watched for 10 reverent kids & gave them a little yellow card. To tie in the “Come, Follow Me” (week of March 4-10), I told the kids we were going to learn a song that would teach us one way we could be a disciple of Christ & put Him first in our lives. We discussed the definitions of the unfamiliar words in the song (ERE, SUE, FAVOR, WEARY, DREARY). Then I had the 10 kids with yellow cards come up to help. I told them their action, & they stood on either sides of the podium in a line. While I was organizing them, my partner, teachers, & kids hummed the tune. (It took 3x thru, hahaha) We then sang the whole song with each kid doing their action. Then we went back thru, only doing a phrase at a time, repeating twice. Then we sang the whole song thru one more time, wth all kids standing in place, doing the actions. I bore my testimony, & it was time for class!